It looks so simple, on the surface: when you gather the harvest, leave some for the poor. Why, then, do we need an entire tractate of the Talmud to talk about it, and why does Maimonides devote an entire volume of the Mishneh Torah to it? The commandment may be simple, but human nature is not. The minute people heard “leave the corners, leave the gleanings” the questions began: how much of the corners? On every field of any size? And what exactly are gleanings? What if a worker drops an entire basket of produce? What if you don’t have a field, but a silver smithy? What if the harvest is really bad that year? What about… on and on. There are also questions about the recipients: who gets the gleanings? Who are the poor? Who is the stranger? Why do they deserve free stuff? I resolve my dilemma by giving as much cash as I can to my local food bank. Canned goods are nice, but the truth is they can do a lot more with cash. They can buy what people actually need as opposed to our fantasies of what they need. They can buy at steep discounts, too. My “harvest” doesn’t involve corners of fields or gleanings, it is in my checkbook, and so I give what I can. There are a growing number of poor families and individuals in the United States. The recovery from the Great Recession has left many behind. 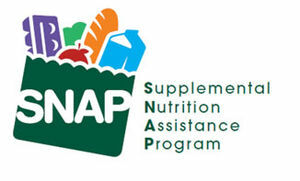 We live in a cruel economy at the moment, and funds for food stamps have been cut again and again. It is up to us to dig deep and give to organizations that feed hungry people. Our tradition demands no less. In a few days, we will read those words from the Haggadah. Very soon, Jews all around the world will sit down to a seder meal, to listen to the story, to ask questions, to laugh, to share one another’s company, and to eat. 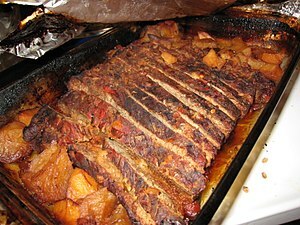 Every family has its own favorite recipes: for my family, it is the brisket I slow-cook every year, 8 hours at least in a low, low oven, simmering with tomatoes and root vegetables until we all go crazy smelling it. But there are other families, Jewish and not, where there will be no feast that first night of Passover, where the phrase “bread of poverty” is not simply a ritual observance. In 2011, over 50 million Americans lived in “food insecure households.” Stop and ponder: Fifty million Americans were unsure of their next meal last year. That means that if you live in the United States, somewhere within easy driving distance of your home, someone is going hungry. I have learned, as a rabbi, as a person to whom people tell their secrets, that many of the hungry are not the stereotype in your mind. Some of them are your neighbors. Some of them do everything they can to keep their dignity, to not let on. But they line up for some free vegetables behind a church where they think no one will recognize them. They don’t tell their kids where the food came from. How can we keep our words at the seder from being a cruel farce? In the long run, it will require political action, and we are yet to come to agreement about how to proceed about that as a nation. In the short run, there is much we can do, and it is easy to do. Find your local food bank (the link will lead you to an online tool). Send what you can afford. Food banks are organizations that do the buying and gathering of food for many local agencies, to make every dollar go the farthest. If you want your tzedakah dollar to go far, to be a “good investment,” give to your local food bank. It’s very easy to give: most food banks offer an online donation link. Posted on March 23, 2013 Categories Especially for Beginners, Mitzvot, Passover, The Jewish YearTags food bank, Haggadah, hunger, Judaism, Passover, Tzedakah2 Comments on Hungry for Passover?